Looking for a great oven cleaning service in London? You found it. We have the best cleaning team in the city. We deal with and specialise in oven cleaning. As a leading service provider we have learned a lot throughout the years. Our most important asset are our customers and we do our best to keep them coming. A good way to do is to offer high-quality services that they cannot find anywhere else. Hence we use non-toxic but effective cleaning solutions and efficient cleaning methods. We strive to make our service better than the rest and we must say we already have established ourselves as leaders. You can absolutely count on us. Read more below. Should you need professional oven cleaning in London, lean on our experts. We use the best techniques and the latest cleaning equipment. We can be contacted by phone 24 hours a day. Use our number to get a quote and arrange for a service. We will take necessary steps to make your oven sparkling. 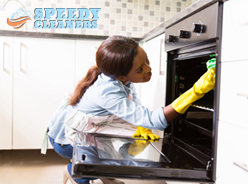 At the end of the service you can expect your oven to be spotless, both on the inside and out. All baked-on food will be scrubbed and removed. We will clean the oven door, racks, walls and burners. The service will be completed within a few hours. When we leave, you will be able to use your appliance straight away. you. In a few steps we will breathe new life into your appliances so that you don’t have to. Besides oven cleaning is a labour intensive and boring task that takes a lot of time. Let our specialists handle it for you so that you focus on your agenda. We use special cleaning agents that don’t have harsh chemicals. We follow some strict regulations throughout the job to ensure your appliances are safe for you. We use the best methods and we can assure you the end result will be as expected. There are a few benefits of using our pros: your oven will be so clean, it will be much more efficient. Your dishes will taste better and cook faster. Your home won’t smell badly after you cook. We recommend using our oven cleaning services often to rid your appliances of grease, baked-on food, bad smells and debris. The staff is licensed and fully qualified. They are also police background checked and trained. 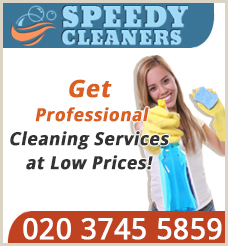 Our cleaning technicians operate throughout the week in London and they are also available during the weekend. We offer convenient appointment hours as we are very flexible. Contact our call centre and let us know you need our oven cleaning service. Copyright © 2019 Speedy Cleaners London. All Rights Reserved.